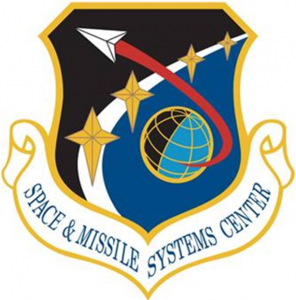 The SMC Heritage Center is an area of historical exhibits and monuments to the Air Force space and missile development, located both indoors and outside of the Schriever Space Complex at L.A. Air Force Base in El Segundo. Lunch will be available at a reserved area of the base patio. Limited Parking, please carpool. To sign up for this event, US Air Force Base Authorized Guest Registration is required (fill out attachment in link below). 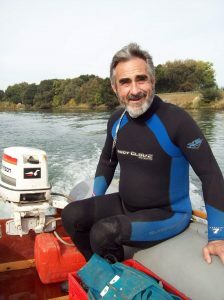 It is our sad duty to inform all W6TRW members of the passing of Phil Bergeron, N6PB. Phil became a Silent Key (SK) after a long battle with several medical issues. Phil’s wife, Kathy passed away earlier this year. Phil is survived by his son, Robbie. A donation to the ARRL or other amateur radio organization in Phil’s honor would be appropriate, as his family is not accepting flowers or remembrances. “This project HF Field Day 2018 radio seemed like it was putting 10 pounds of sand into a 5 pound sack !! ARRL Field Day is THE largest emergency preparedness, on-the-air event held on the 4th weekend of June. 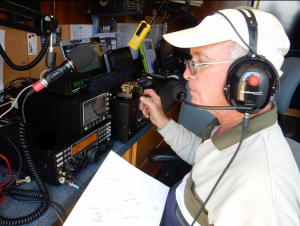 35,000 or more radio amateurs gather with their clubs and friends, to operate from remote locations. W6TRW will have 7 fully operational stations up and running using Voice, Digital and Morse Code. and is only 6ft tall. Ed worked on this concept for several years and first presented this antenna design at Pacificon 2015. He will give a historical perspective of how this antenna was developed and also explain how this antenna works. Since its introduction, its popularity has exploded. 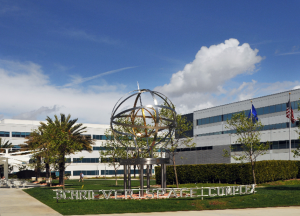 Sales have not only been to the ham community but also to military, government and commercial applications. Summits on the Air (SOTA) is an ongoing ham radio contest, that encourages portable QRP operations in the mountain terrain. Each summit earns the ‘activators’ and the ‘chasers,’ a score which is related to the height of the summit. ‘Short Wave listeners’ confirm a QSO. Certificates are available for various scores, leading to the prestigious Mountain Goat and the Shack Sloth trophies. SOTA was launched March 2, 2002 and there are over 118 associations around the world. W6TRW Club Commissioner, Jeff Reed treks up mountain tops to make that radio contact. 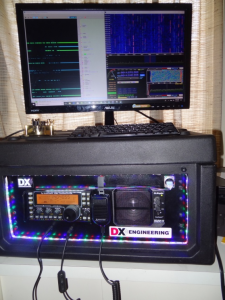 The W6TRW Repeater participates in the Outdoor Adventure USA weekly net via the IRLP Reflector 9251 each Thursday evening at 7:30 PM immediately following the N6HSI Space Net on our 145.320 and 447.000 Repeaters. The Outdoor Adventure USA weekly net discusses various topics related to amateur radio and the outdoors. All amateurs are welcome to participate. Please stop by, give a listen, and join the net. 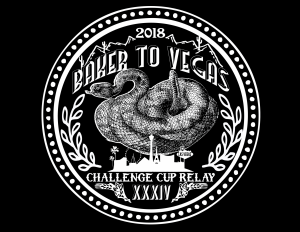 The largest police foot pursuit in the world, the Baker to Vegas run is where police organizations form relay teams to run the 120 mile course, in 20 stages from Baker, CA to Las Vegas, NV. A team from NBC News’ digital news unit Left Field was in Hawaii to visit with some radio amateurs to produce a report when the false nuclear missile alert happened on January 13. Left Field’s report points out how much we rely on cell phones and 21st-century technology…and what we would do if these suddenly were no longer available. 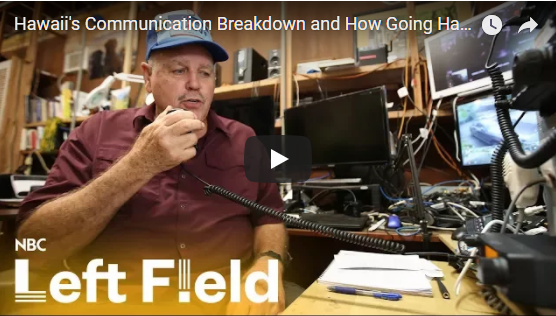 Amateur Radio operators “are standing at the ready and may save us all,” NBC Left Field said in its report. The report, with Left Field’s Jacob Soboroff, runs 7:22. “Ham radio is one of the ways you’d be able to hear what’s happening,” when conventional telecommunications systems fail, Soboroff told his viewers. 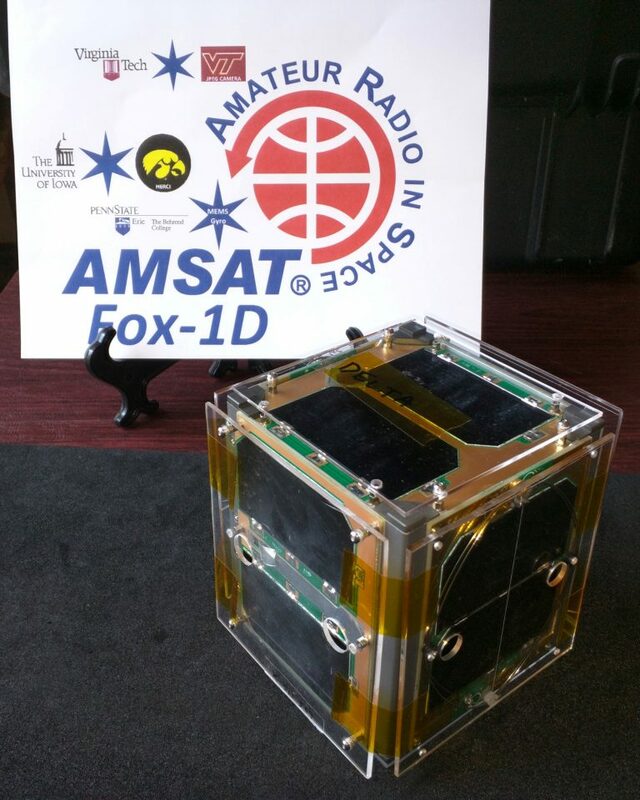 On the 03:25 UTC pass on January 26, 2018, AMSAT Vice President – Engineering Jerry Buxton, N0JY, announced that AO-92 had been commissioned and formally turned the satellite over to AMSAT Operations. AMSAT Vice President – Operations Drew Glasbrenner, KO4MA, then declared that AO-92 was now open for amateur use.